Grey Matters Productions is a Community Interest Company (CIC) which produces AT HOME THIS MORNING, a one-hour magazine format radio programme containing items of particular interest to older listeners. The programme is broadcast on Brighton's own Community Radio Station Radio Reverb, which broadcasts on 97.2 FM, on DAB+ Digital Radio, and Online at www.radioreverb.com . AT HOME THIS MORNING is also broadcast on Brighton's Coastway Hospital Radio. You can listen to AT HOME THIS MORNING at 11.00am on Tuesdays, 9.00am on Thursdays and 8.00am on Sundays on Radio Reverb, and on Coastway Hospital Radio on Tuesdays at 11.00am, and on Thursdays and Fridays at 12.00 noon. Previous editions of our programmes can also be found on this website by clicking the appropriate icon. We're a "not for profit" organisation whose membership includes a number of ex BBC staff & Freelancers. 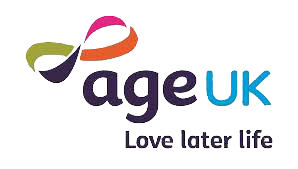 We aim to produce radio programmes that are of interest to all, but also to include items that are particularly relevant for those who are older. As a result the interviews, features and music in our programmes are somewhat less frantic than can be found in some other places! We're happy to publicise events in Brighton & Hove which are of interest to older listeners (or to a general audience including older listeners). However, the programme is recorded a week in advance of its first broadcast, and thus you need to tell us about any event you want publicised at least three weeks before it happens (and preferably longer in advance than that).